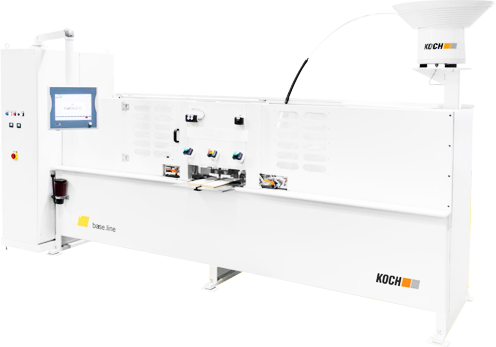 KOCH offers a complete range of edge-banding and hot-foiling machines, from top-quality basic equipment for market newcomers through to fully automated machining centers for large-scale production. 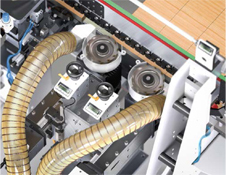 Our product lines – base, pro and select – are the basis for an ideal system design. With optional equipment enhancements, each high-performance machine can be seamlessly adapted to suit your specific needs. Superior-quality components throughout our range ensure consistently outstanding precision in all aspects of edge processing. You can rely on KOCH to answer all your needs with expertise, precision and passion. With KOCH as your partner, you are offered the full range of possibilities, where transparency and consistency are guaranteed. 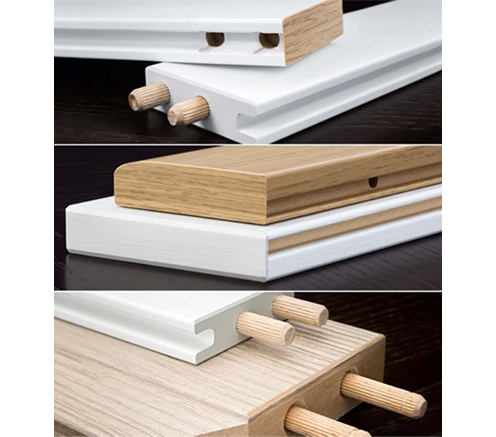 From our clearly structured range of products, we provide you with the perfect solution to match your requirements. Whether gearing up for a profi table launch, optimizing production to increase fl exibility or confi guring a unique system for maximum performance – no matter how you decide, each option is designed with the core competencies of the industry‘s leader and results in top quality. We call it the K-SYSTEM. consulting expertise and services are available around the world at any time through our extensive network of branch offi ces and business partners. Base.line >> Effective planning. Efficient production. Pro.line >> Fexibly featured. Designed for growth. Select.line >> Customizable configuration. Smart optimization. For high-precision processing of profi led, shaped and other special workpieces, our base.line equipment is extremely versatile. 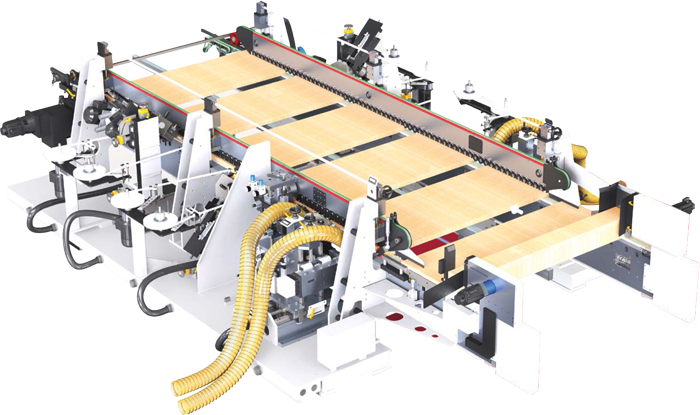 These single-sided edge-banding and hot-foiling machines with manual feed are ideal for just-in-time production, for example of frame parts, furniture fronts and single-drawer components. They can accommodate a wide variety of edge materials and standard adhesives. 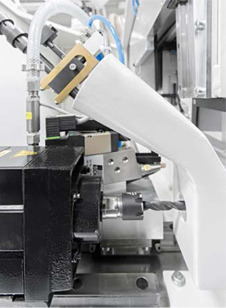 Our pro.line models have been specially developed for processing workpiece ends of narrow parts, such as rails, stiles and plinths. Conventional adhesives, such as EVA, PUR and PO, can be used for materials such as MDF and chipboard. Double-sided processing with automated through-feed ensure precise, effi cient series production of components even with critical dimensions. Thanks to the modular design, optional features allow you to expand and optimize the system to perfectly suit your processing needs. 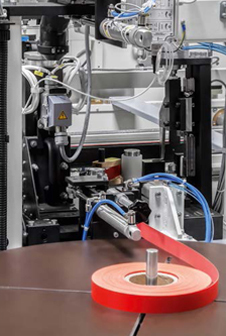 The machine can serve as a stand-alone solution or be integrated into a production line. Profi led workpiece ends can also be hot-foil laminated with ease. Our edge-banding machines can apply any standard edging material measuring 0.15 mm to 3 mm thick. 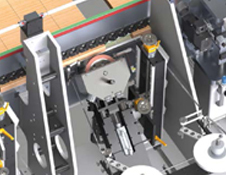 Special CNC trimming units with sensing rollers follow the contours of the components with absolute precision, removing any excess banding material to ensure an accurate finish. 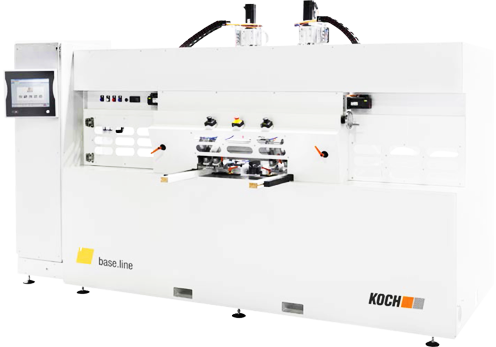 The ENDMASTER edge-banding and hot-foiling machines in our select.line series include all the advantages of our pro.line series, but are specially designed for maximum performance. Their solid engineering and top-quality components ensure consistently clean and absolutely precise processing. Ideal for the processing of workpiece ends of narrow parts, such as rails, stiles, plinths etc.